and distributors who advertise in the pages of RYO Magazine"
RYO Magazine is a high visibility, product specific site. Our demographic research concludes that our visitors tend to browse through the entire site for all of the vital, up-to-date information they need to make informed choices regarding the purchase of RYO supplies AND the even more pertinent issue of tobacco regulation, taxation, and smoker's rights. Consequently, with the exception of *front page (cover) positions, no one ad placement location has proven to be more effective than any other. Ad placement is at the discretion of the editor and will follow rules of pertinent content, which means we will make every effort to locate your ad in the area most likely to be visited by potential customers of your product or service. When possible, customer requests for specific ad placement locations will, of course, be considered. Such requests should be addressed at time of ad purchase and with a follow e-mail to our ad department. Front page (cover) location pricing varies and the ad size is not limited to the 2 banner sizes below. Smaller or larger cover ad space is available. Give us a call at (541) 488-8325 to discuss your ideas and needs. It is also important to note the we spend a great deal of time and resources making the smoking public aware of this site. We employ advertising in pertinent publications, direct mail to pertinent companies, and intense search engine submissions. Considering the large amount of product specific traffic this site generates, we are confident that placement of your ad here will be, without a doubt, the most cost-effective advertising situation anywhere on the internet. We can also build for you an attractive, low cost web page that is easy to advertise in search engines and that can further drive business to your existing website or 800 number. We can create an entire site for you as well. Contact us for details. This highly effective banner size can be a bit of a challenge to fit large amounts of information. As you can see in the example, all information truly necessary to generating traffic either to your web site or toll free number can be included using rotating animated text blocks that display various information sequentially. 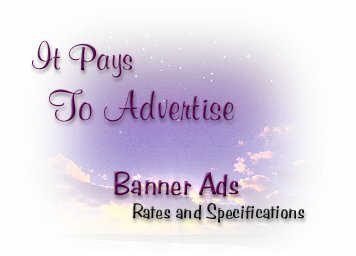 This size ad can be very effective in driving traffic to your website or toll tree number. Animation can enhance the quantity of your message but the quality of your message remain foremost in terms of effectiveness. Call us today to discuss your needs and the kinds of returns you expect on your product inventory. it includes creation of your Ad. or for a small fee ($15) we will design it for you using your specific information. *Advertising rates vary according to location. Custom front page locations are the highest. (541) 488-8325 or e-mail our ad department for specific pricing. EDITOR'S NOTE: These reviews are solely for the convenience of people of legal age who already smoke, are trying to cut down on smoking, wish to spend less money on their smoking, want to roll their own cigarettes from high quality tobacco, and, in general, wish to have a far more satisfying, and economical smoking experience when compared with smoking pre-manufactured cigarettes. We, in no way, encourage people to smoke. Further, we prescribe to a sane, more logical approach to smoking that involves common sense as to quantity coupled with a strong desire to manage the habit until it becomes an occasional, freely chosen, diversion, that can be fully enjoyed with minimal health risks. Finally, we strongly encourage those who do smoke to take it outdoors, or to appropriate environments where tobacco can be enjoyed away from those who do not smoke, most especially children. We do not sell tobacco or related products from this site; We distribute information about our perceptions of the quality of what is available and where it can be obtained. If you are under 18, it is illegal to buy tobacco and you should immediately exit this site. If you do not smoke, it would seem illogical to start. and its contents are protected under all applicable copyright laws.